How do you create a smooth graduated fill between two colors using thread? I am studying with fiber artist, Carol Shinn, this week and we are learning how to do this with freestyle machine embroidery. A yellow green to red violet 5-step blend. 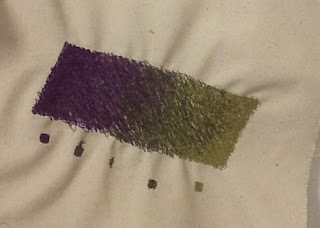 Here is the stitch-out from yellow green to red violet. Color blend stitch-out in Carol Shinn's worshop. Today we used a photo transfer process to get the image on the base fabric. 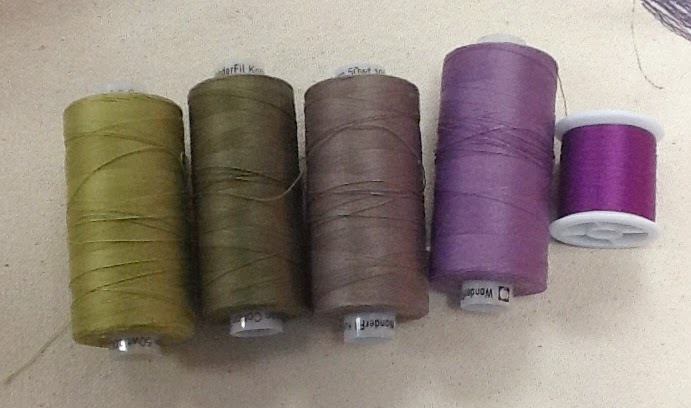 There are many colors and shades of thread used for the stitching. Free-motion stitching with image transfer. I took Carol's class several years ago at Arrowmont. It is one of my all time favorite classes! 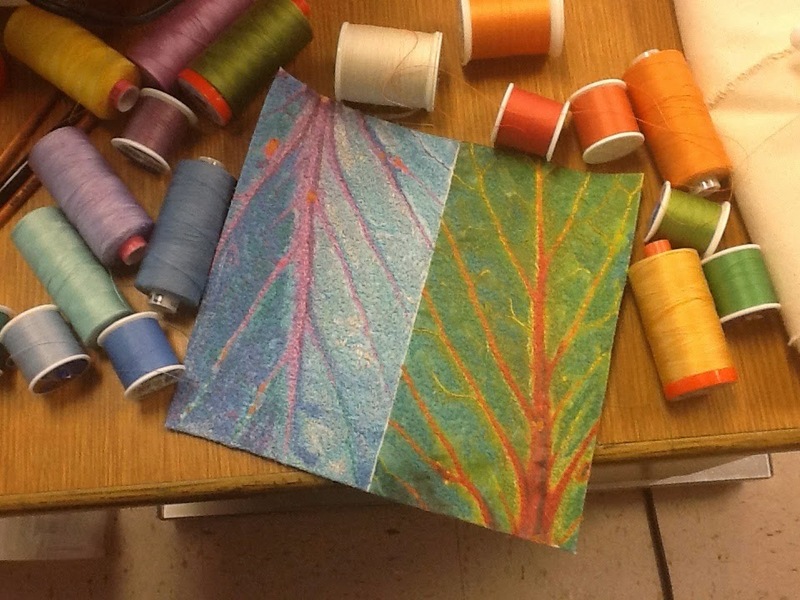 I have even managed to make a few thread paintings - so much fun. She is a great teacher. Let's have lunch when you get home. I want to see what you created! These are really a great tips that you have given .I just love embroidered clothes.Good work.